Mrs. Myrtle L. Culver, 72, Falls City, formerly of Atchison, died yesterday at the Community hospital in Falls City.She had been in failing health several years, entering the hospital on Dec. 7. Her condition became critical following a stroke she suffered while in the hospital Dec. 11. Mrs. Culver was born here Dec. 3, 1893, a daughter of the late Jefferson and Jennie Ingels. She was married here to Grant C. Culver Feb. 19, 1910, and they established their home here, moving to Falls city in 1912. They resided in Falls City until 1938 when they moved to Lincoln, Neb., later moving to Kansas City where they lived from 1943 until he retired as a Missouri Pacific conductor. After his retirement they returned to Falls City on Oct. 1, 1964. 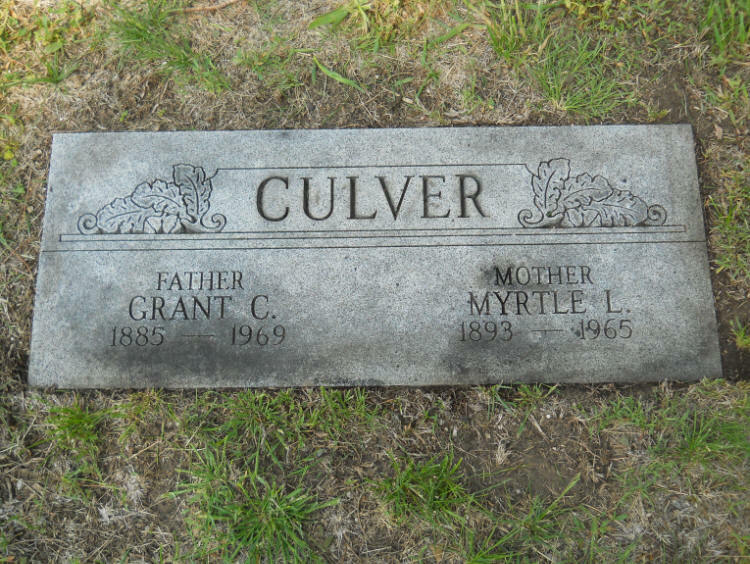 Mrs. Culver was a member of the Methodist church.She was the last surviving member of a family of nine children. Surviving are her husband, who is a patient at the Community hospital in Falls City; two sons, Theodore G. Culver, Riverside, Calif., and Rex Culver, Lincoln, Neb. ; two daughters, Mrs. Sam (Marvel) Gaither, Roseville, Calif., and Mrs. Floyd (Frances Audrey) Wilhelm, Washington, D.C., and 11 grandchildren.